“Ambition leads me not only farther than any other man has been before me, but as far as I think it possible for man to go.”—Captain James Cook. 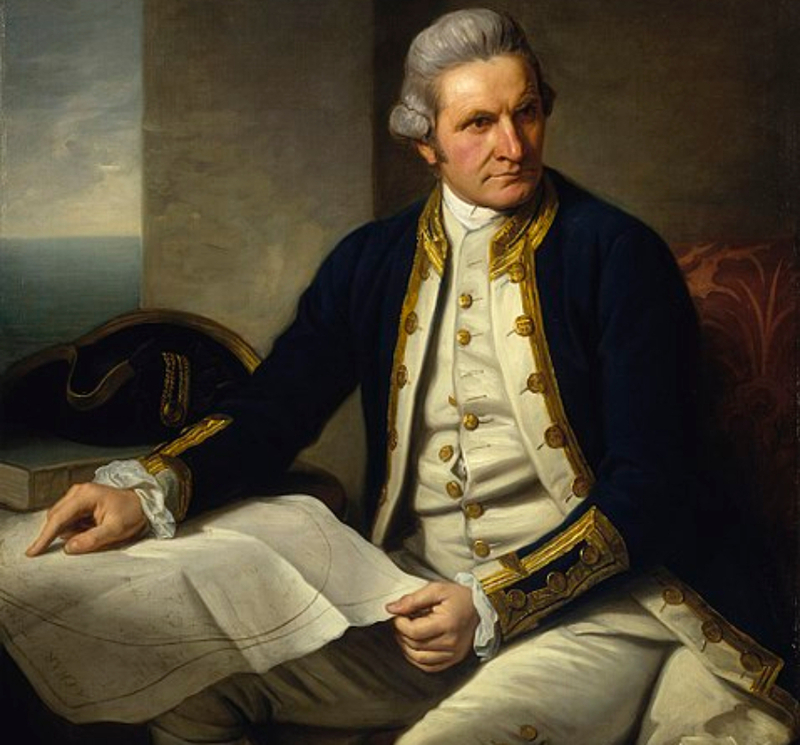 Captain James Cook was a legendary explorer and cartographer. From his humble beginnings in the Yorkshire countryside, Cook changed the Western perception of the world. He was the first to accurately chart out vast and distant lands from Newfoundland to New Zealand. He reached many points on the globe that had yet to be reached by Europeans and did so using new innovative scientific methods. Cook led three circumnavigation voyages that forever enshrined him as one of the all-time great seafarers. 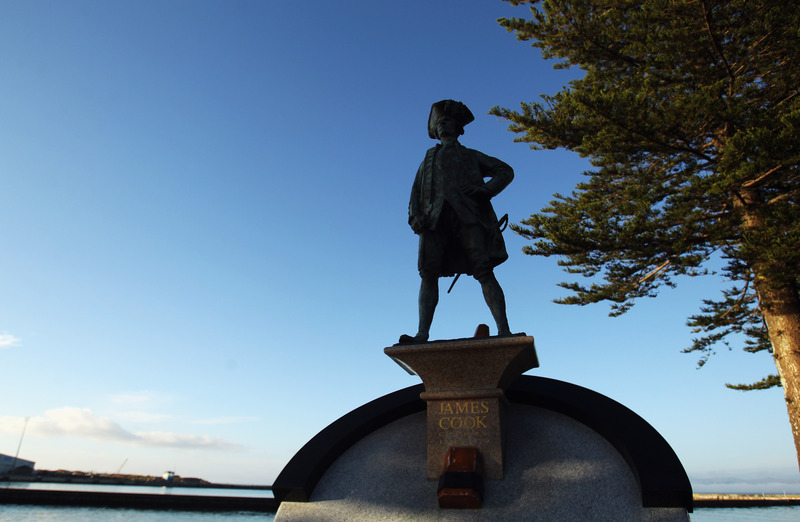 Here are 24 astonishing facts about Captain Cook. Captain James Cook was born on November 7, 1728 in the village of Marton in Yorkshire, England. He was the second child of eight born to Grace Pace and James Cook, a farmworker who originally hailed from Scotland. The family would later settle in the town of Great Ayton. In 1762, Cook married Elizabeth Batts, the daughter of his mentor Samuel Batts, who served as the keeper of the Bell Inn in Wapping, London. The couple had six children together, five sons and a daughter. Due to the lengthy duration of his various excursions at sea, the couple was largely apart for much of their marriage. When he was back home, Cook and his family resided in a home in the East End of London. A pivotal moment in the life of Cook came at the age of 16, when he decided to move away from home for the first time. 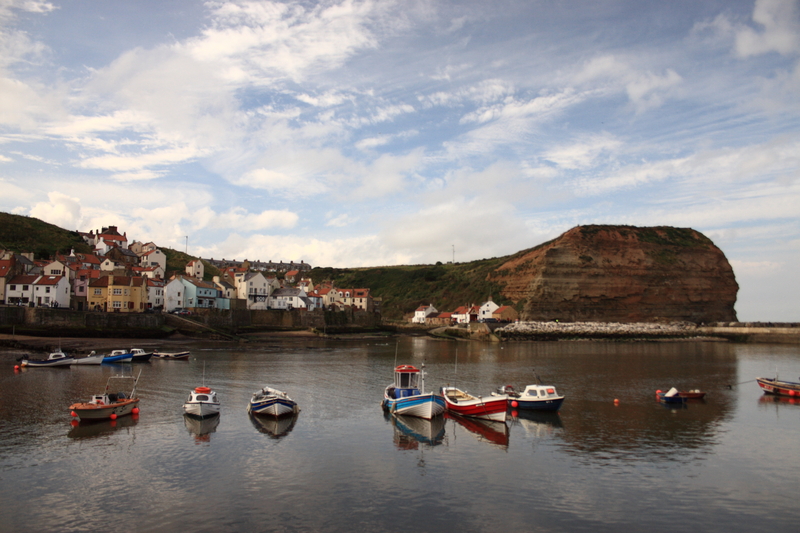 Cook moved to the fishing village of Staithes, about 20 miles away from his hometown of Great Ayton, where he was employed as a shop boy for local grocer and haberdasher William Sanderson. It has been speculated that Cook first experienced an attraction to the sea while gazing out the shop window. 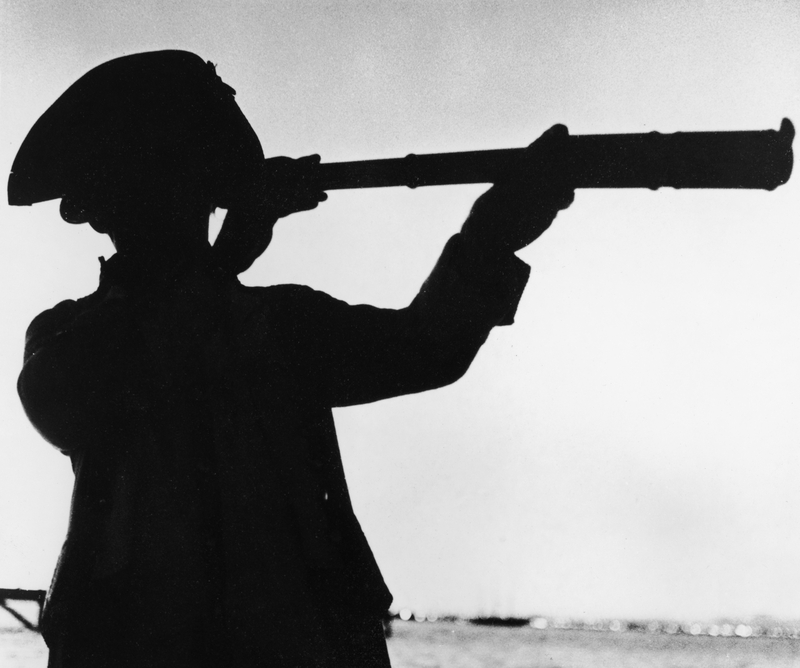 After finding the life of a shop boy to be not as fulfilling as he once hoped, Cook moved to the port town of Whitby where he took on a merchant navy apprenticeship. He started out selling coal up and down the English coast from Tyne to London. During this time, Cook also extensively studied subjects like algebra, geometry, trigonometry, navigation, and astronomy—all of which would come in handy when he embarked on his famous voyages. After his apprenticeship, Cook worked on trading ships that sailed on the Baltic Sea. 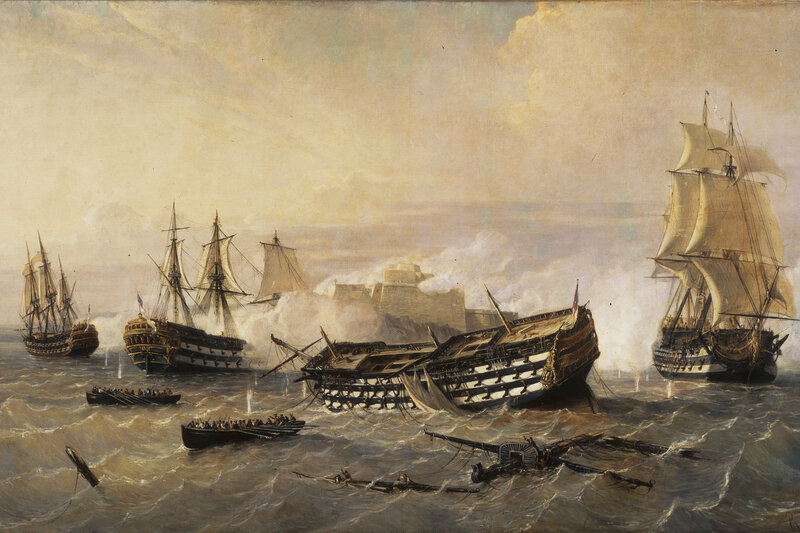 Although Cook was to be granted his own vessel as part of the merchant navy, with the Seven Years War looming, he enlisted as a volunteer serviceman for the Royal Navy. During the war, he was able to rise to the rank of master and was in command of the HMS Pembroke in North America. The Pembroke carried out major campaigns including the successful sieges of the Fortress of Louisbourg and Quebec City. It was during these campaigns that Cook first demonstrated his expert cartography skills. Cook’s mapping of the St. Lawrence River was a decisive factor in the British winning the Battle of the Plains of Abraham in 1759, a pivotal moment in the war and the development of the future nation of Canada. Owing to his expert mapping skills, in the 1760s Cook was commissioned to survey the coast of Newfoundland. Over the course of five seasons, Cook was able to produce the first large-scale and accurate maps of the future Canadian island. His maps were used well into the 20th century. 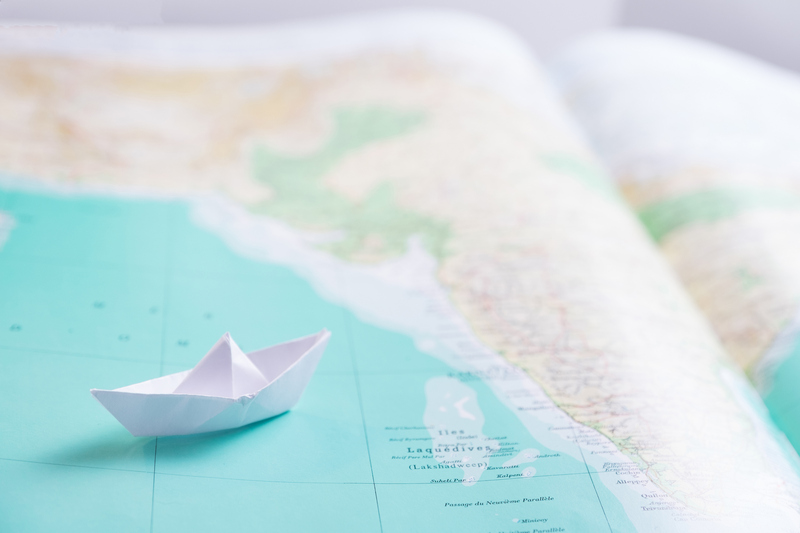 Cook’s work impressed the Admiralty of the Royal Navy and the Royal Society, who realized that someone with his master cartography skills could be very handy as Britain continued its major exploratory expeditions across the world. 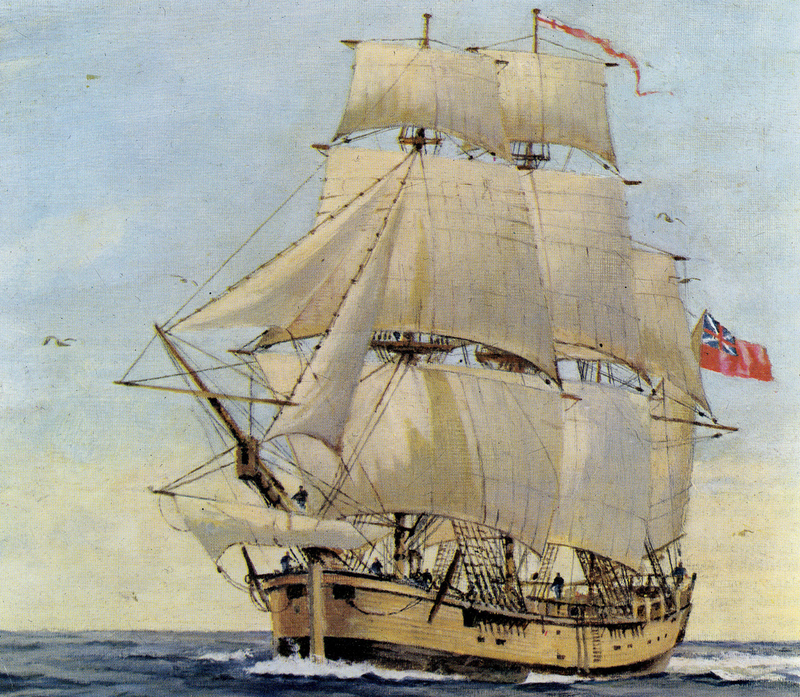 On aboard the HMS Endeavour, Cook set out for his first major expedition on August 26, 1768. He was commissioned to observe the Transit of Venus in the Pacific Ocean, which would help determine the distance of the Earth from the Sun. 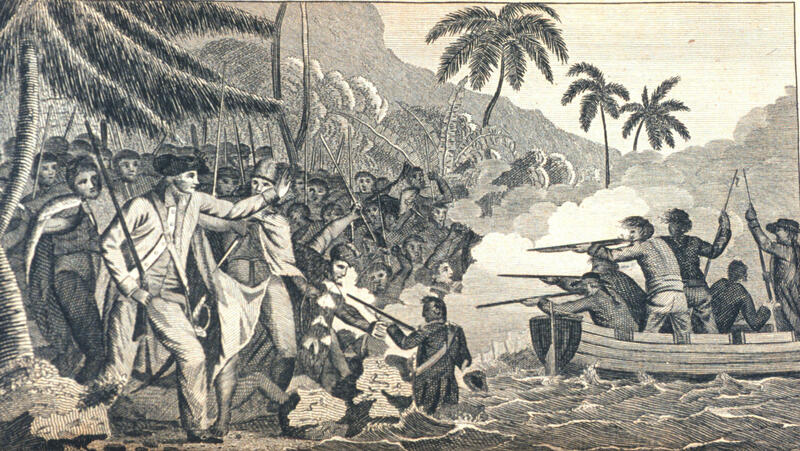 Cook made landfall on the island of Tahiti on April 13, 1769. After he made the observation of the Transit of Venus during his first voyage, Cook unsealed the instructions for the next objective of the mission. 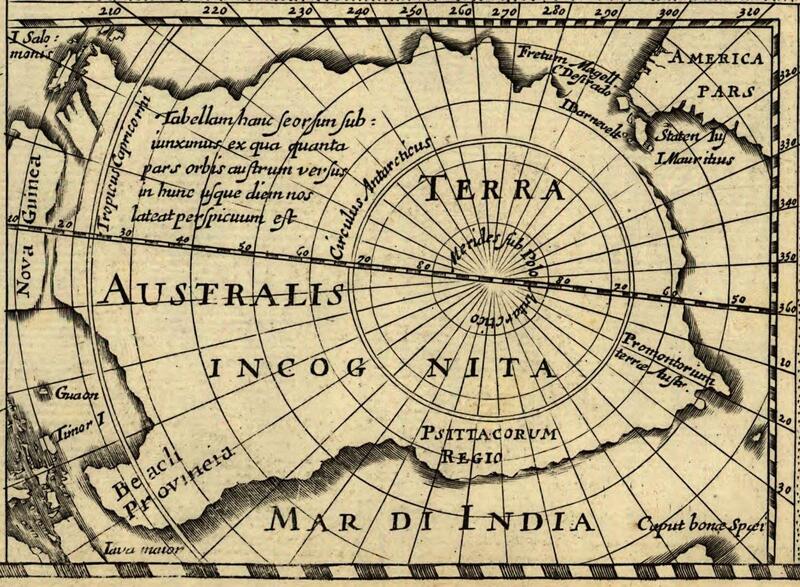 Cook was tasked with exploring the possibility of the hypothetical Terra Australis, the mythical great Southern Continent. While Cook may not have found the fabled continent, he did travel along the coastline of New Zealand, becoming the first European to do so. The sojourn to New Zealand produced a very detailed map of the island, with only a few errors. 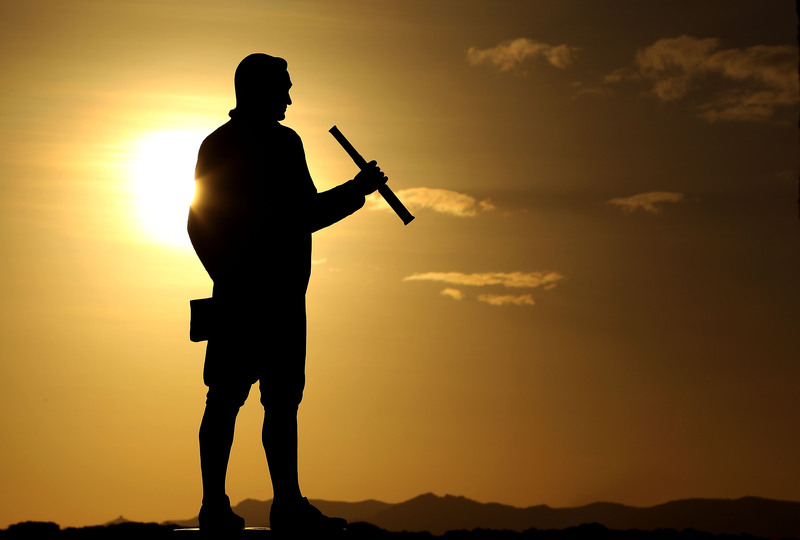 He also became the first European to reach the shore of mainland Australia. 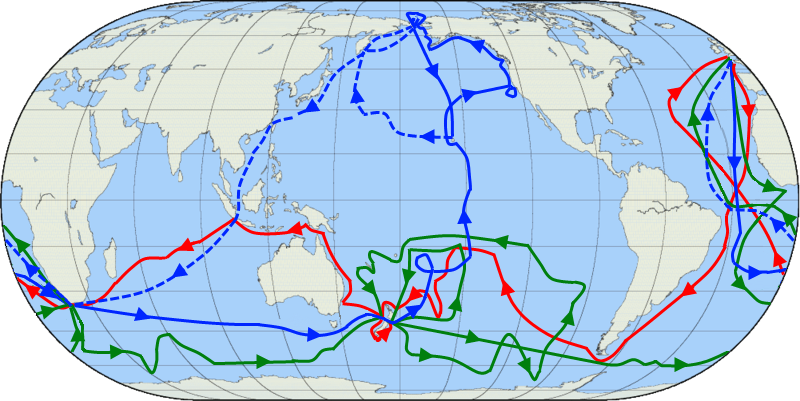 In all, Cook’s first major voyage lasted nearly three years. 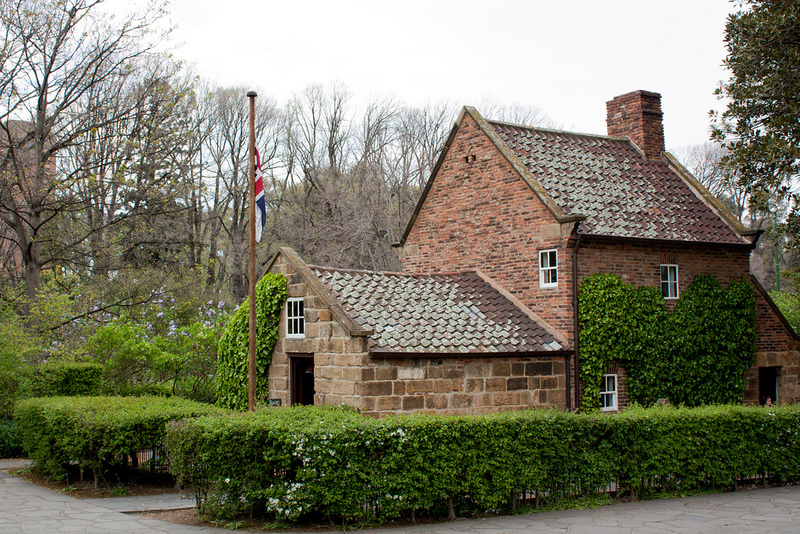 A cottage belonging to the Cook’s parents was moved brick-by-brick from its original location in Yorkshire, England to Melbourne, Australia in 1934. Although historians have confirmed that Cook never lived in the cottage, he was known to visit his parents there on many occasions. The cottage is now a very popular tourist attraction. 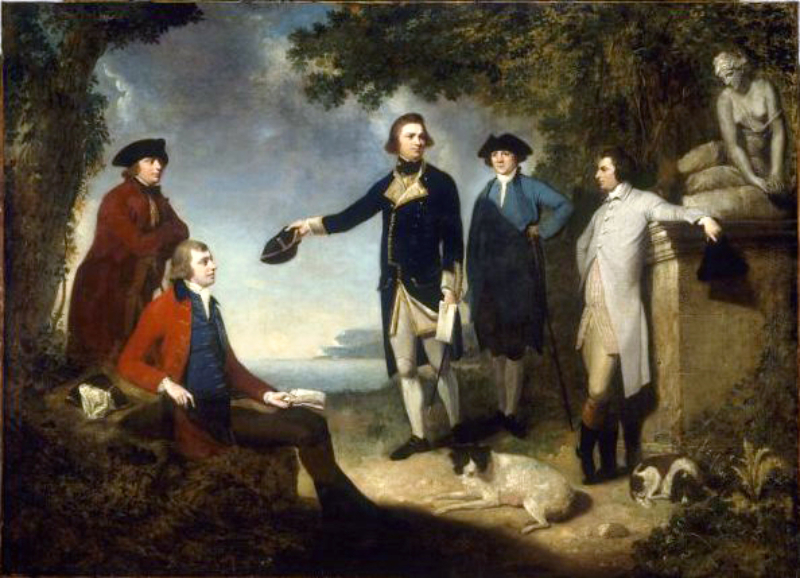 In 1772, Cook was once again commissioned to find the so-called mythical continent of Terra Australis. This time aboard the HMS Resolution, Cook ventured even further south. This expedition is thought to be the first time someone had crossed the Antarctic Circle. If it wasn’t for poor conditions, Cook may have been able to find an approximation of Terra Australis in the discovery of the continent of Antarctica. 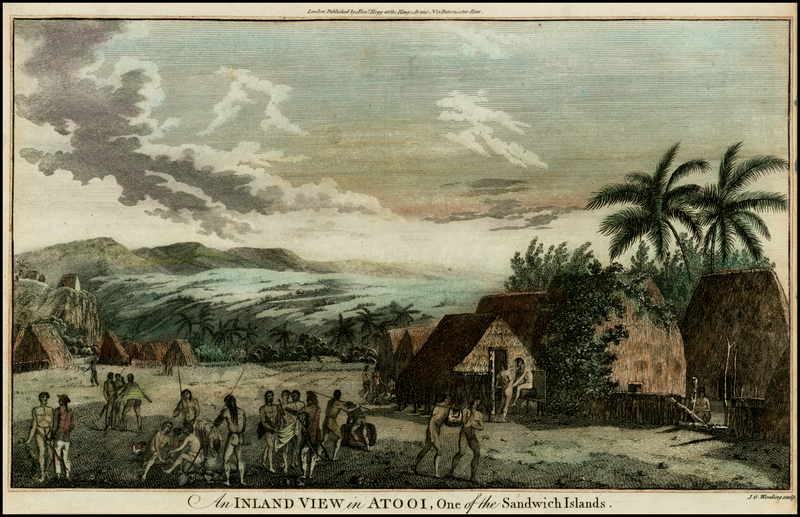 Cook eventually retreated to Tahiti, where his crew enlisted the navigation resources of a local named Omai. Upon his return, Cook was granted the title of Captain by the Royal Navy. What made Cook’s achievement of circumnavigating the world during his second voyage even more notable was the fact that he didn’t lose a single man to scurvy. Cook was able to accomplish this incredibly rare feat by making frequent stops to replenish their stock of fresh food. By staving off scurvy from his crew, the Royal Society awarded Cook with the Copley Medal in 1776. 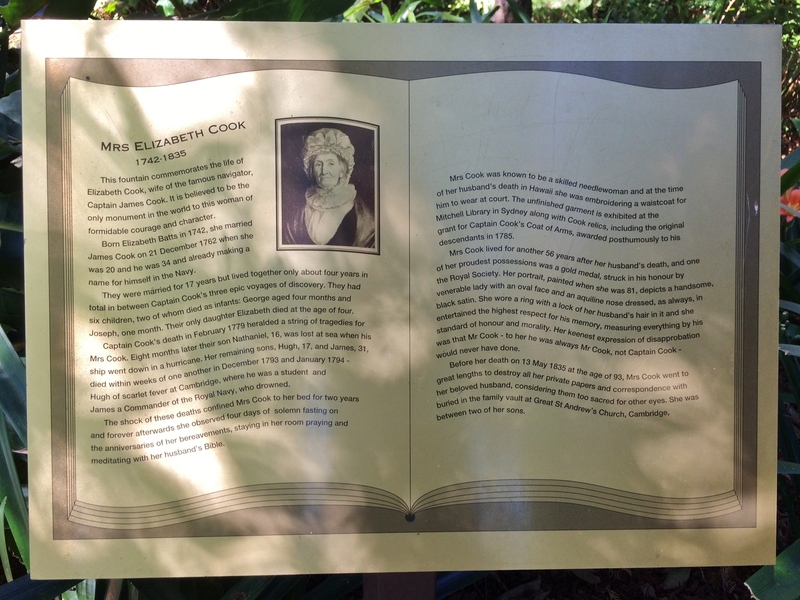 Sadly, all of Cook and his wife Elizabeth’s six children died young. Only one child, their son James, lived beyond the age of 18, though he passed at the age of 21. None of their children had kids of their own, and thus, Cook has no direct descendants. Before reaching North America, Cook encountered the Hawaiian Islands in 1778. Cook is thought to be the first European to make formal contact with the people of the archipelago. In his notes, Cook named Hawaii the Sandwich Islands, in honor of his patron the Earl of Sandwich. After his work along the West Coast of North America was completed, Cook made what turned out to be a fateful decision to return to the so-called Sandwich Islands. 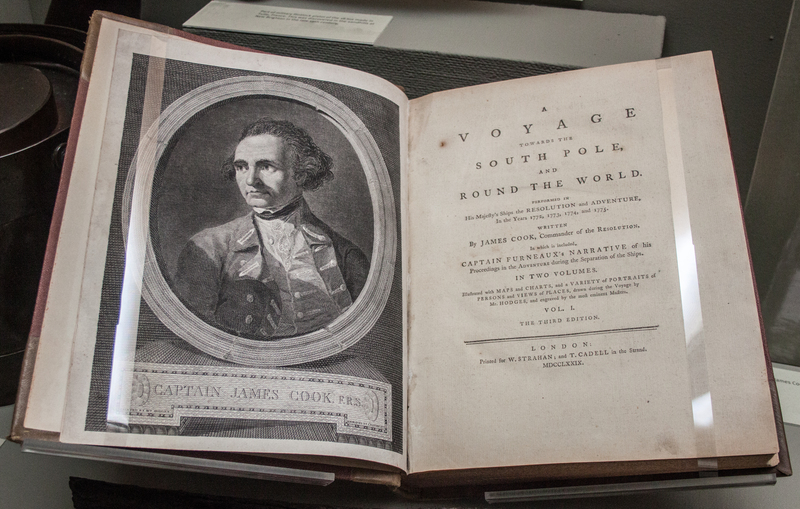 A vast assortment of documents and artifacts from Cook’s three major voyages comprises what is called the Cook Collection. The New South Wales government purchased the collection from a distant descendant of Cook’s widow in the late 19th century. In 1894, these items were then transferred to the Australian Museum located in Sydney. The collection includes items from places like Hawaii, New Zealand, Tahiti, and from the Northwest Coast of North America. Owing to his background in cartography, Cook made great use of latitude and longitude to aid his expeditions. While explorers had used latitude for centuries, using longitude was a far more recent approach. 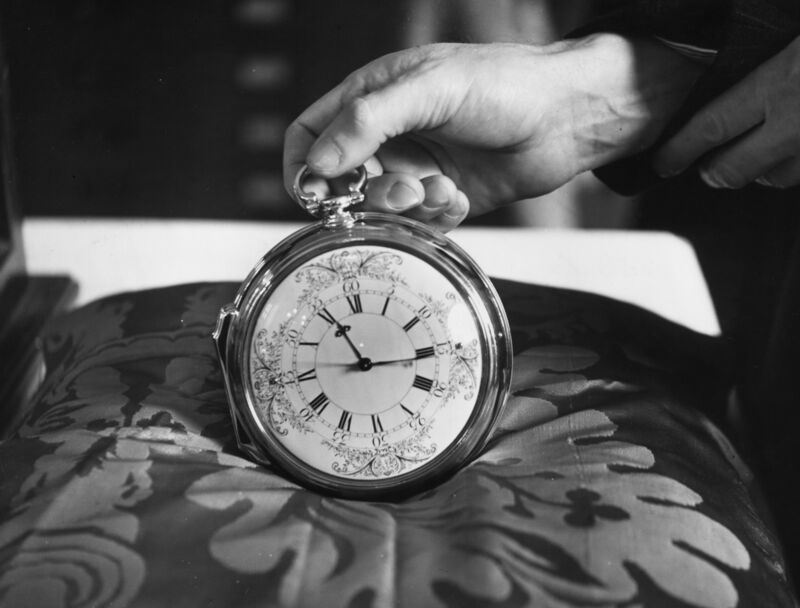 Cook made great use of instruments such as the K1 chronometer made by Larcum Kendall and the Nautical Almanac, to help him gauge time, which was crucial in determining longitude. When Cook returned to the Hawaiian Islands in 1779, the locals of Kealakekua Bay had never encountered people with white skin before, nor had they ever seen large sailing ships. Not to mention, Cook’s arrival also coincided with a festival honoring the fertility god Lono, leading the locals to believe that these Europeans were, in fact, gods. As a result, the locals showered Cook and his crew with gifts and feasts. Cook and his men took advantage of the hospitality by amassing a large number of food and supplies of Kealakekua Bay. The fact that these explorers were not actually immortal deities revealed itself when a member of Cook’s crew succumbed to a stroke. 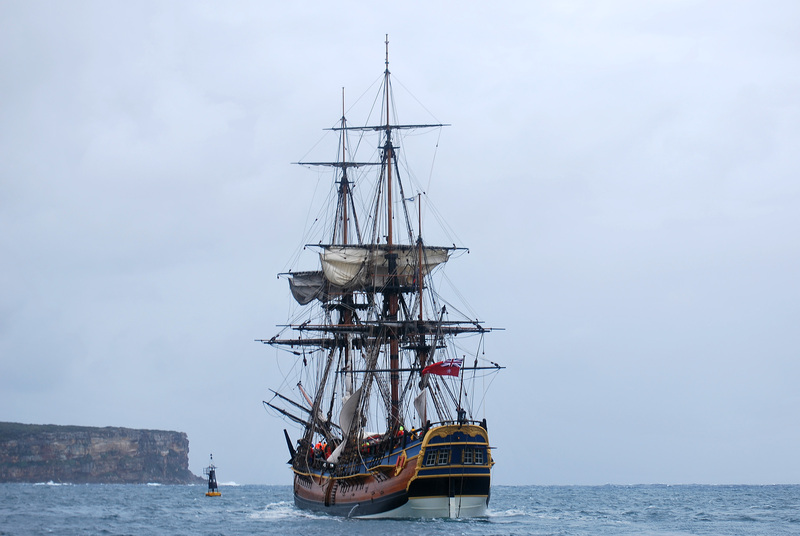 One of the most experienced members on board of the HMS Endeavour on Cook’s first voyage was a goat! Yes, as in the farm animal. The goat was aboard the HMS Dolphin under the direction of Samuel Wallis as he led the first mission to Tahiti. 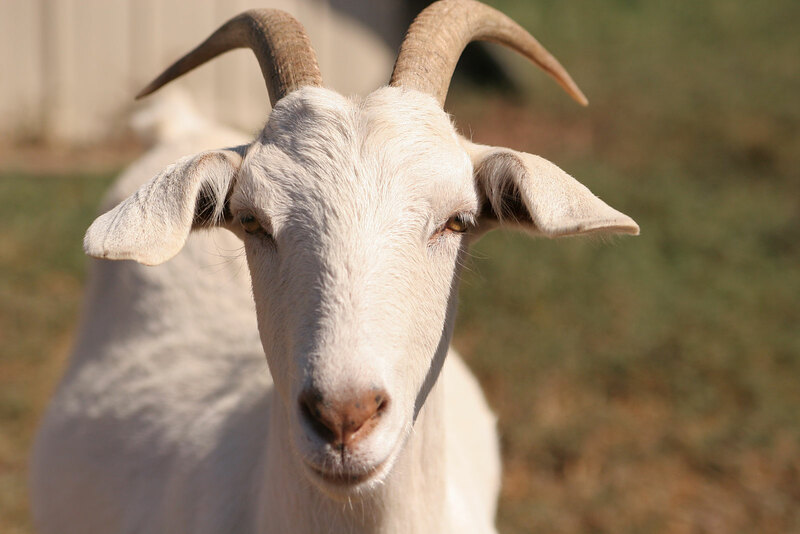 The goat is believed to be the first recorded instance of an animal to have circumnavigated the world. After returning from the Endeavour, the goat was put out to pasture and was apparently even looked after by the Royal Navy Hospital. Many prominent spacecraft have been named after vessels commanded by Cook. Both the command service module of Apollo 15 and a space shuttle were named after the HMS Endeavour, which Cook sailed during his first voyage. Another space shuttle, Discovery, was named after the HMS Discovery that was used in Cook’s third voyage. During Discovery’s final flight to space, the crewmembers carried with them a special medallion in honor of Cook. In a 2002 poll conducted by the BBC, the British public voted Cook as the 12th Greatest Briton. 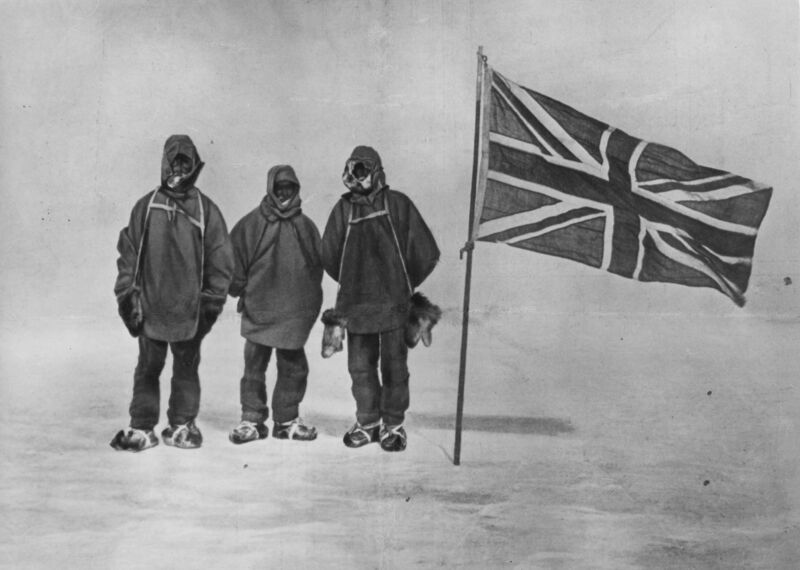 Interestingly, the man above him at number 11 was Sir Ernest Shackleton. Shackleton was a fellow explorer, who is best known for his expeditions to icy Antarctica—a destination that had just alluded Cook. Cook is the namesake for many places around the world. 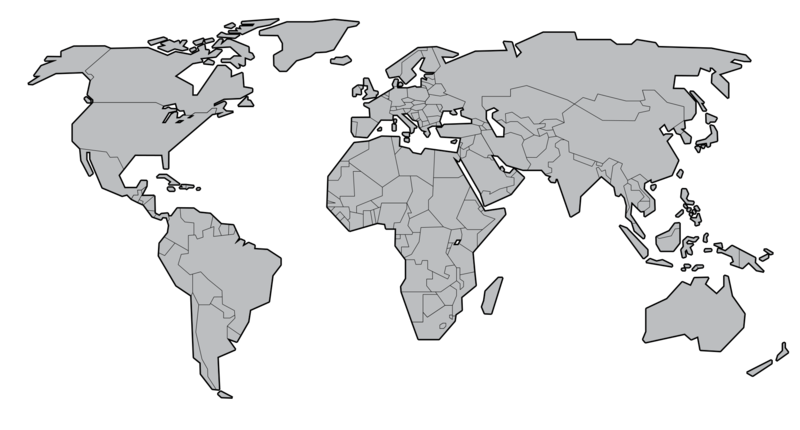 Most notably are the Cook Islands, a self-governing nation with an affiliation to New Zealand. Cook is recorded to have made landfall on what is now known as the Cook Islands in 1773 and 1777. 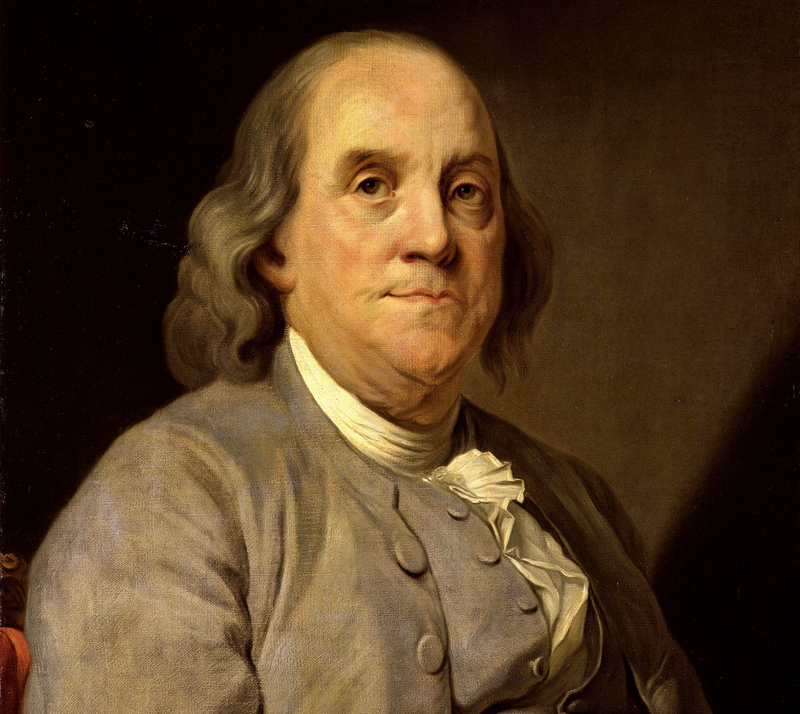 Due to his associations with Australia and New Zealand, many cities, towns, counties, and other geographical features in the two nations are named after him. 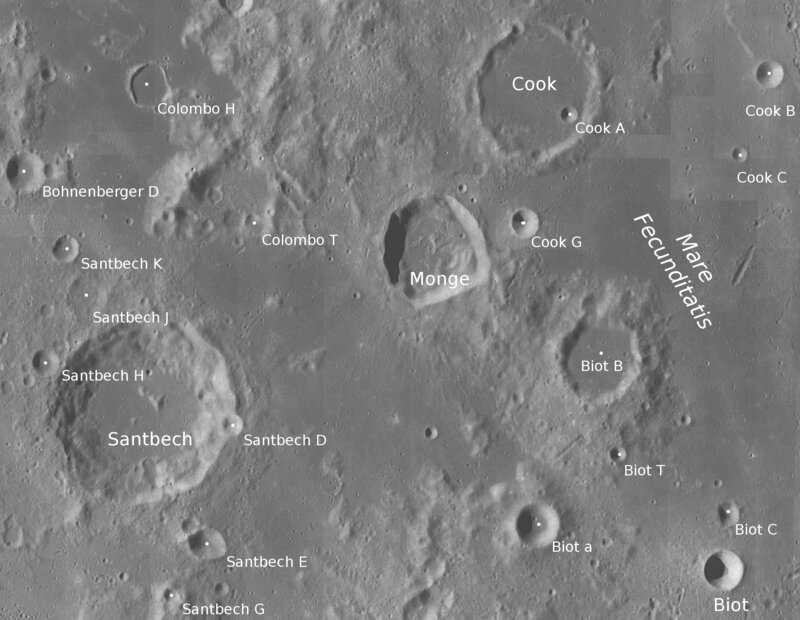 There is even a crater on the Moon called the Cook crater, named after the legendary explorer. 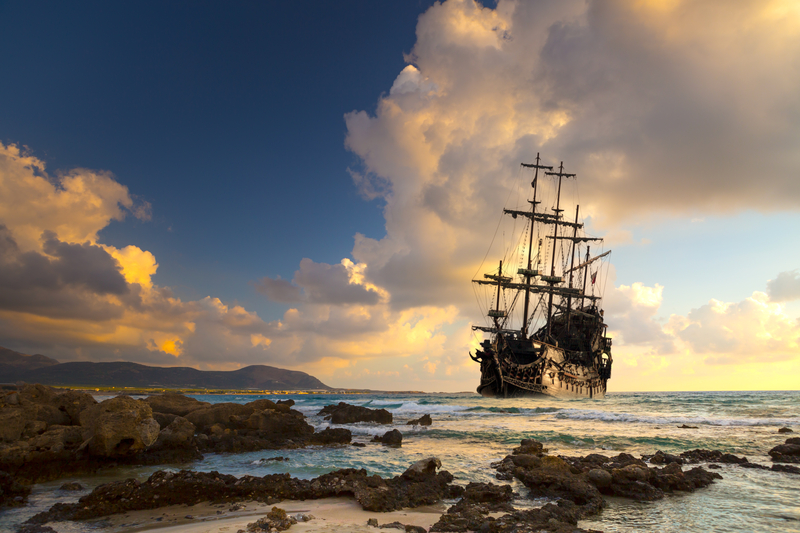 Cook’s first voyage nearly met a tragic end when the Endeavour almost became shipwrecked in the Great Barrier Reef off the coast of Australia. The jagged coral formations ripped through the ship. Cook and his men desperately pumped water out of the vessel and threw heavy supplies overboard. After a nearly 20-hour ordeal, the crew was able to temporarily plug the hole with an old sail and reach the shores of mainland Australia. Cook and the crew spent two months properly repairing the damage and making the Endeavour seaworthy once again. Cook embarked on his third and final voyage in 1776. He would once again be commanding the HMS Resolution and was joined on the expedition by Captain Charles Clerke, who would oversee the HMS Discovery. The voyage was formally announced as a mission to return Omai back to Tahiti. That, however, was all a cover. In reality, the voyage’s secret goal was to explore the highly sought out and strategic Northwest Passage around the Americas. Cook traveled across the West Coast of North America, making initial landfall in what is now Oregon, and he would travel through the Nootka Sound off Vancouver Island and north to the Bering Strait. Sea ice prevented Cook from exploring further north, but he was able to reach the coast of Siberia. The expedition produced an accurate depiction of these coastlines for the first time. Cook’s failure to find to find the northwest passage left him frustrated and irritable. This, coupled with a stomach ailment that left him reeling, made him act bizarrely in the final months of his last voyage. In one instance, his men recalled Cook forcing them to eat walrus meat, even though they’d already determined that it was inedible. This was a far cry from the captain they were used to, and the crew was less than pleased with the change in his temperament. What started out as a pretty cordial relationship between Cook and his crew and the native inhabitants of Kealakekua Bay turned hostile. A group of local Hawaiians had reportedly stolen a cutter, a small boat, from Cook’s fleet of vessels. In response, an angered Cook tried to kidnap King Kalani’ōpu’u and hold him for ransom. However, on February 14, 1779, a group of Hawaiians confronted him and killed him, along with four other crew members. Despite that last hostile interaction, the Hawaiians still demonstrated their respect to Cook by preparing his body under traditional rituals and handing over his remains to his crew. The crew then buried Cook at sea. Cook died at the age of 50. 30 Terrifying Facts About Monsters Inc.